Tonight President Obama steps onto the world stage for the annual State of the Union, but on Saturday morning, Ambassadors for Climate Justice deliver “State of the Planet 2015” at Seattle City Hall. 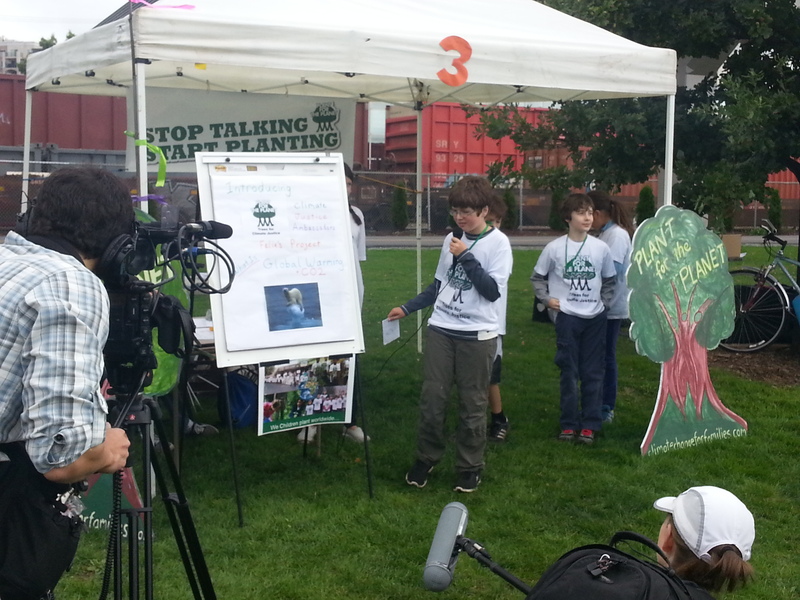 The children do their part planting trees, stopping pollution, inspiring others to take bold action. Come do yours! You’re invited to this fun, free community event. 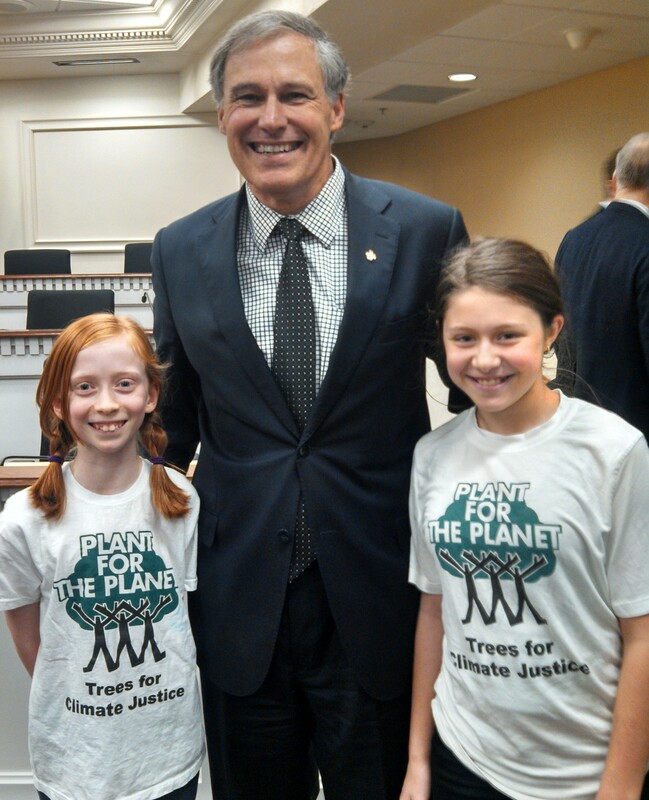 Councilmember Mike O’Brien will be on hand as young Ambassadors update Washington’s Billion Tree Challenge, plus their new initiative to put Climate “Warming Labels” on Seattle gas pump nozzles. Hear Aji & Adonis debut a new song live, and guest speaker Rob Shirkey, who originated the ‘labels on gas pumps’ idea in Canada. 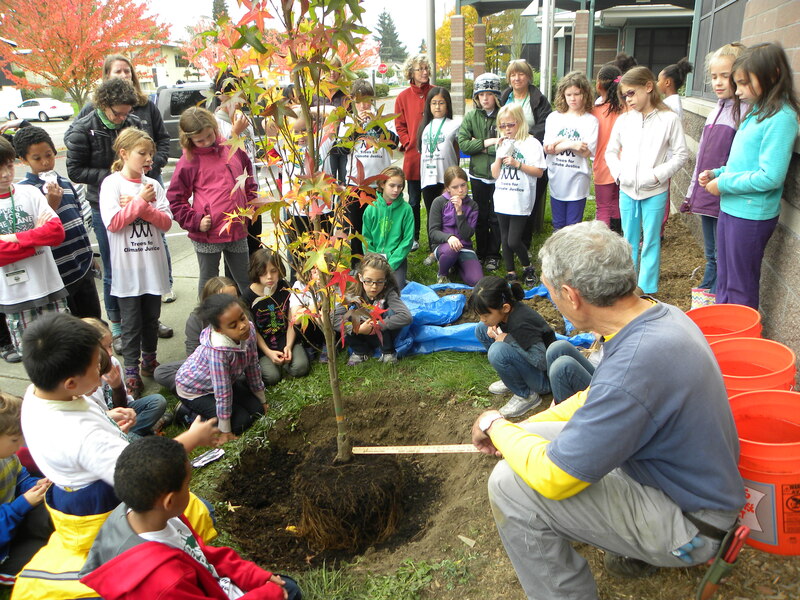 Washington’s Billion Tree Challenge engages our state in doing our fair share toward the worldwide goal to plant 1 Trillion trees this decade. 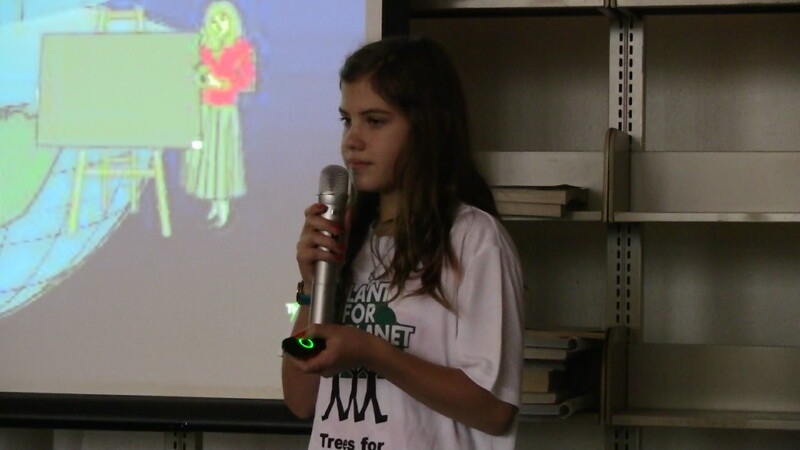 Over 34,000 Plant-for-the-Planet Ambassadors plant, speak and sing about climate justice worldwide. 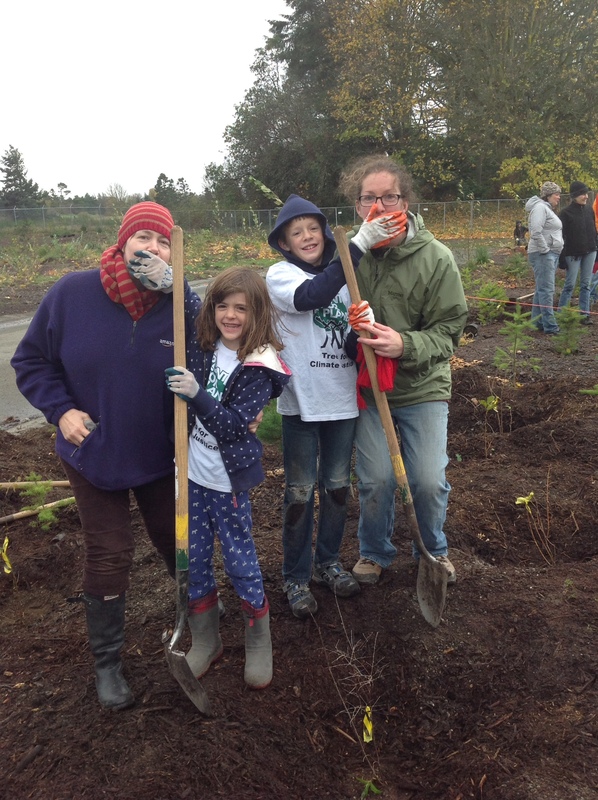 Volunteering with the United Nations, Ambassadors counted over 13 billion trees planted so far. 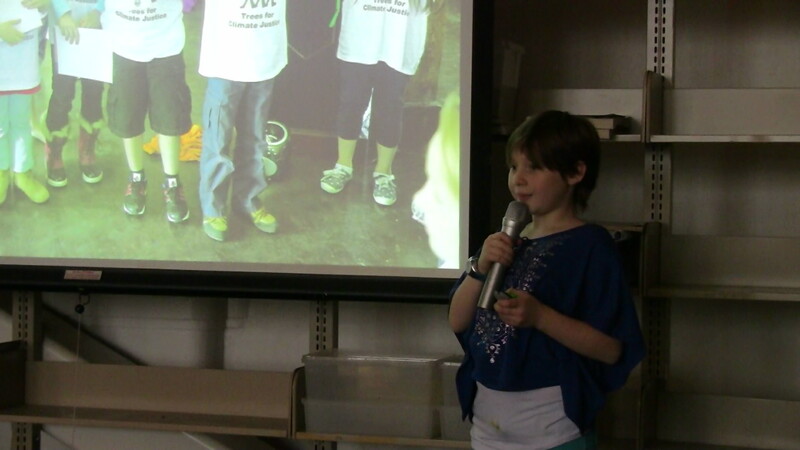 In December, Seattle Ambassadors appeared in a documentary “Saving My Tomorrow” on HBO as well as on KING5 “New Day”. They also introduced Governor Inslee at a lunch with Al Gore, and planted the 11,000th tree of the season in Seattle Parks. Now let’s make 2015 count as the year we turn the tide on climate change. Pledge to make a difference this year. Share your commitment! 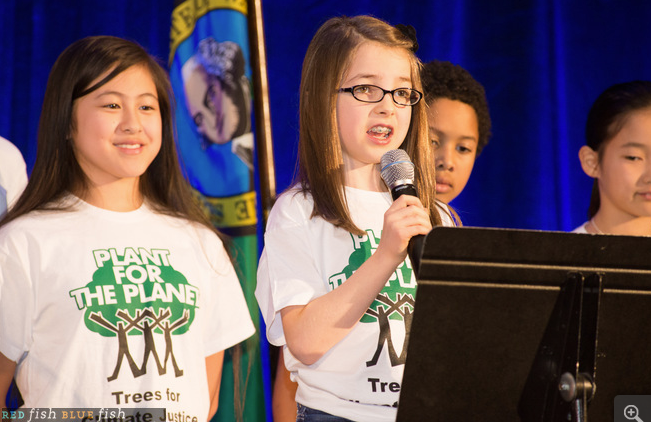 December 4th, 2014 Video from the Seattle Westin ballroom in front of 800 people with VP Gore and Governor Inslee. 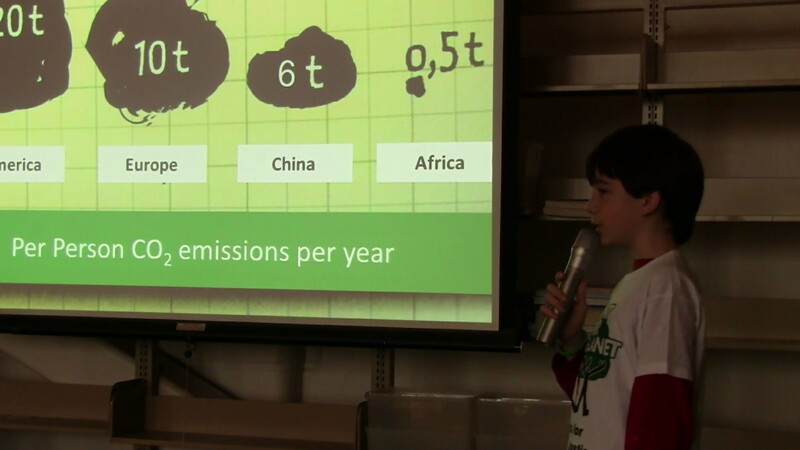 Itzcuauhtli is an 11 year old climate activist. His older brother Xiuthezcatl helped start the Earth Guardians program in Colorado. The boys have been speaking, rapping and spreading the word about climate change to every child and adult they can, like they do in HBO’s “Saving My Tomorrow”. They marched in the front row of the People’s Climate March in NYC. But Itzcuauhtli realized that speaking wasn’t going to cut it. He made the decision to take a vow of silence until the politicians and leaders of our planet started to take notice and help us on our mission of reducing the amount of carbon in our atmosphere. Itzcuauhtli has been completely silent for 45 days. On Saturday December 6, 2014, Climate Justice Ambassadors from Plant for the Planet in Seattle stood in support of Itzcuauhtli. 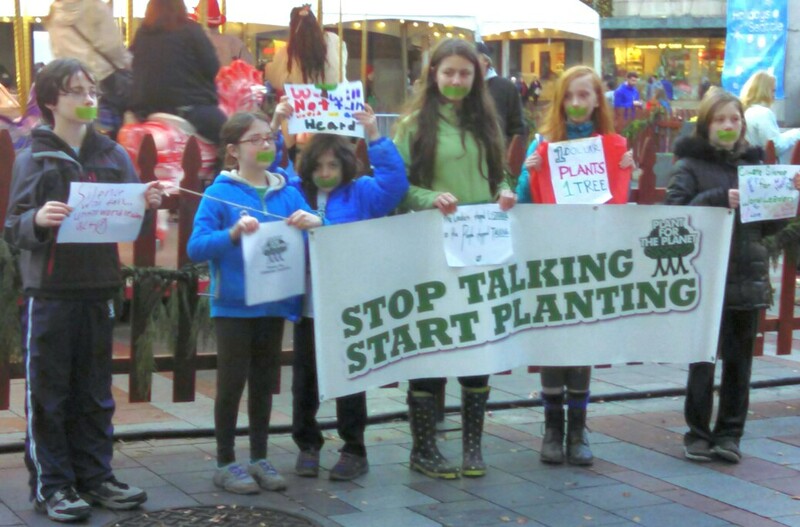 We went silent for 1 hour and held a silent protest downtown with a large sign bearing the message, “Stop Talking, Start Planting” and green tape over our mouths. We also had a donation bag to collect donations from the public, each dollar donated planted one tree. In one hour we collected $29 total! 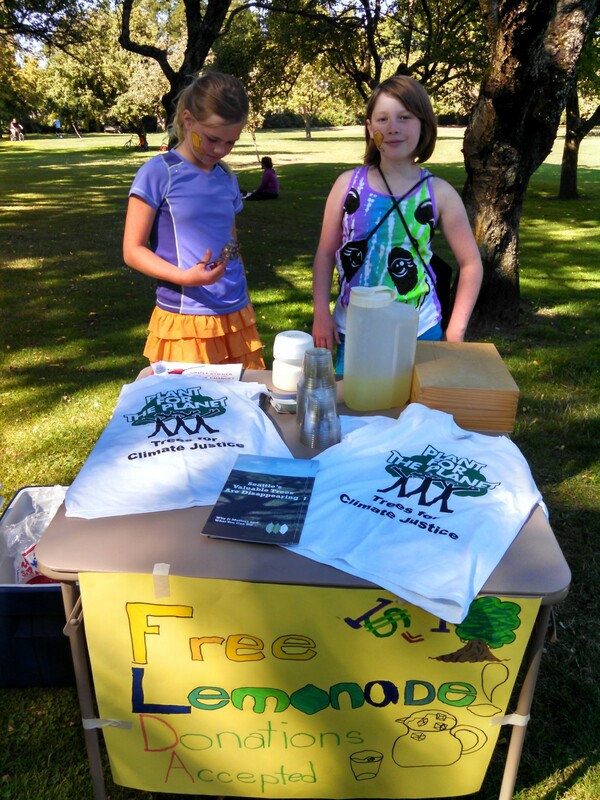 plus we shared brochures and raised awareness for trees and climate action. If you want to help Itzcuauhtli’s cause, please wear a green bracelet on Wednesday December 10th, Human Rights Day, and post your picture online to show your support. To do our part we will continue to share these protests in the future! ed. –United Nations climate talks in Peru December 1 – 12 must take a major step forward as delegates lay groundwork for an entirely new climate treaty in Paris 2015. Forests and Climate Justice have been a BIG DEAL so far this year. Itzcuauhtli has kept silent, looking for leaders like you and me to show officials how to lead. Learn HERE how you can help on December 10th, Human Rights Day, wherever you are on Earth. 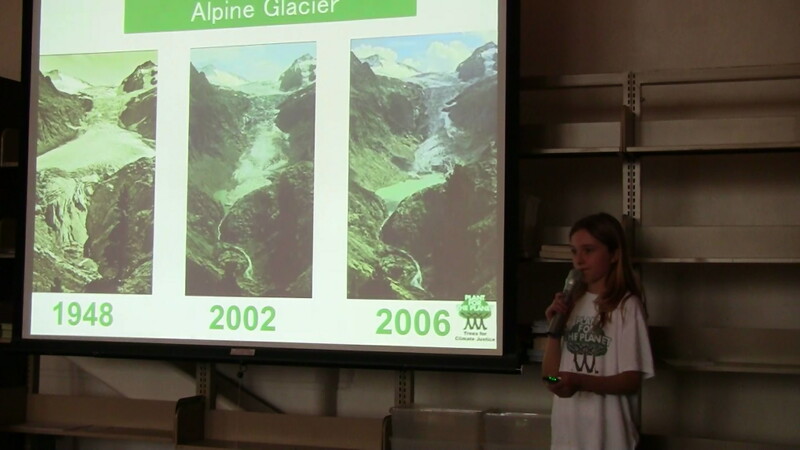 Here’s a slideshow of a slideshow, featuring a team of students giving their 5th grade assembly an introduction to Plant-For-The-Planet! 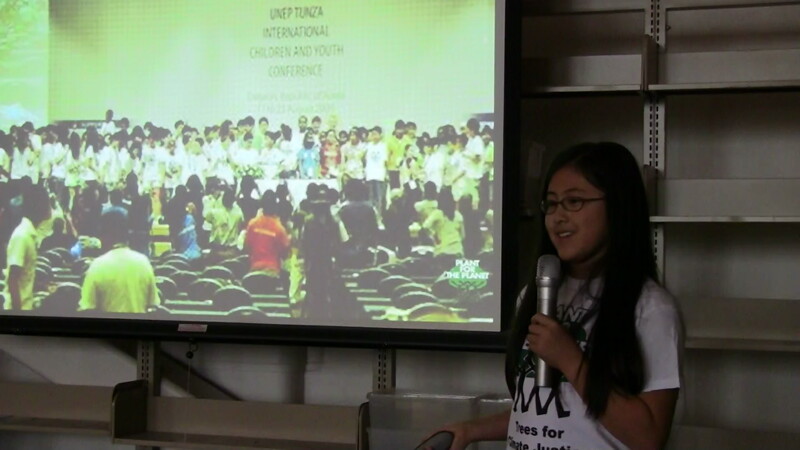 The students had a blast, answered questions, and now everybody at school wants to plant TREES! and become an ambassador too. If you would like to know how to host an assembly for a slideshow at your school, just leave a request below in the comments. 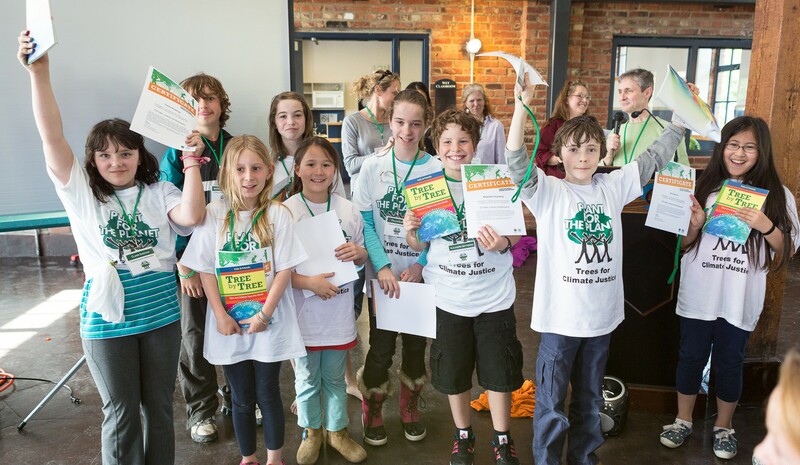 If you have questions about how to get involved with Plant-For-The-Planet as an ambassador or as a grownup, please ask!